Going to the grocery store used to freak me out a bit. Prior to overhauling my eating – and to be honest, that’s really what it was in the beginning, I had no issues going in and going up and down every aisle. I would grab what looked tasty or was cheap. Shifting my eating habits and adopting new ones made the store more intimidating. Shop the parameter. Avoid the middle. But wait, I thought some grains were ok? Fresh is better than frozen – but wait, I thought frozen was just as good, just read the labels? Yeah, shopping was a pain at first because I felt there were a lot of rules and I couldn’t keep up. As I got used to going in for what I needed, it became easier to not feel so tied to my list or at least trust myself a bit to go in and get mostly what was needed. 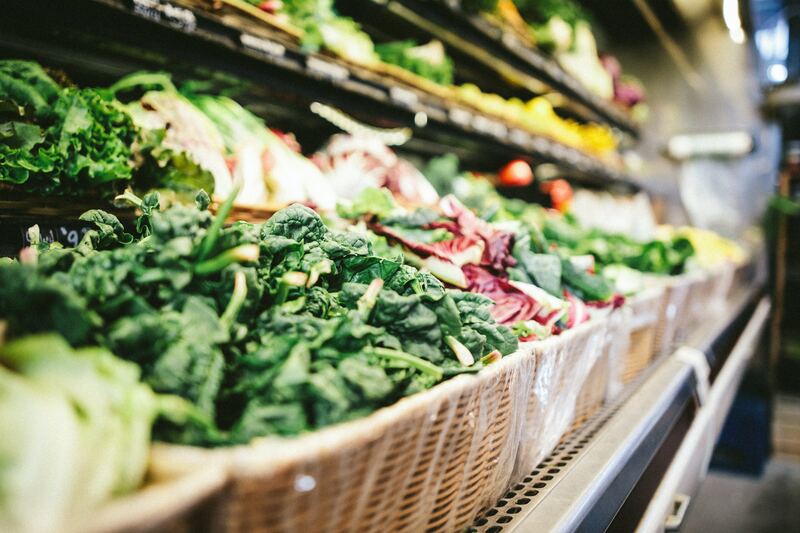 There are things I consider when we go shopping and trust me, we go to the grocery store more often than I’d like to admit, but there’s a few reasons. Depending on the season, some produce never enters our house at certain times of the year. Asparagus is one of those vegetables. I just can’t pay $5 a bundle for pathetic stalks. Because of this, we do our big trip at BJ’s Wholesale every two to two-and-a-half weeks for chicken, yogurt, eggs, cheese, pantry products like Kodiak pancake mix, snack bars like KIND bars or Clif bars. We’ll also get a few other things like Wholly Guacamole because it is so much more reasonably priced in this quantity and it does last us. In between wholesale trips, I shop for produce at smaller stores and I shop the sales. There have been times when all we had as a fruit in the house was bananas because they were reasonably priced, and I knew we liked them enough to not get sick of them. I also know that I can bake them into banana bread if they start to get brown. Worcester County has 16 zip codes. I’ve had an address in four of them. As you can imagine, like any town or city, each zip code tells a story of some kind. In Worcester, you can determine access and wealth by zip code. 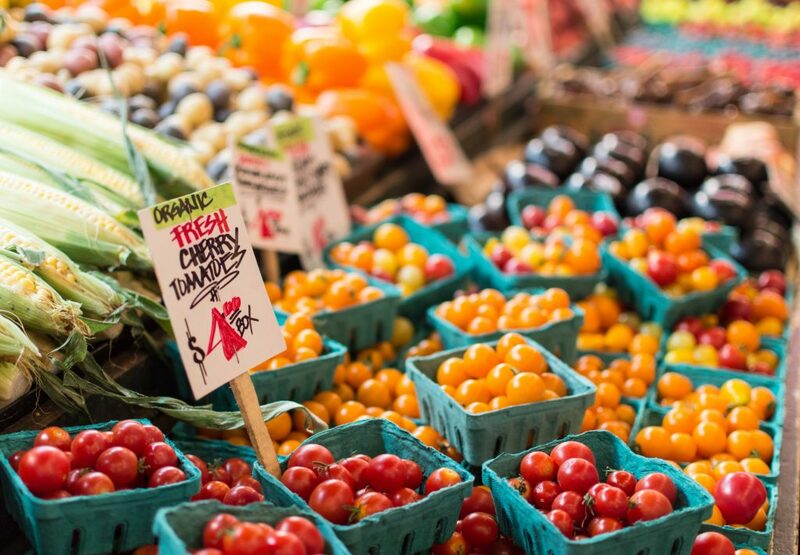 While one part of access is having a grocery store that has variety options (fresh produce and pantry) in a reasonable distance to your home, another part of access is the quality of the items at the location. It’s easy to argue that you can have a bag of grapes on a shelf in the produce department, but if they’re moldy or smushed, you don’t really have the option to buy them. Since I do have the luxury to go to other places, I shop at a few stores. Tying into the point above, physical access of an item is important. If it’s not physically there, it’s not a choice. 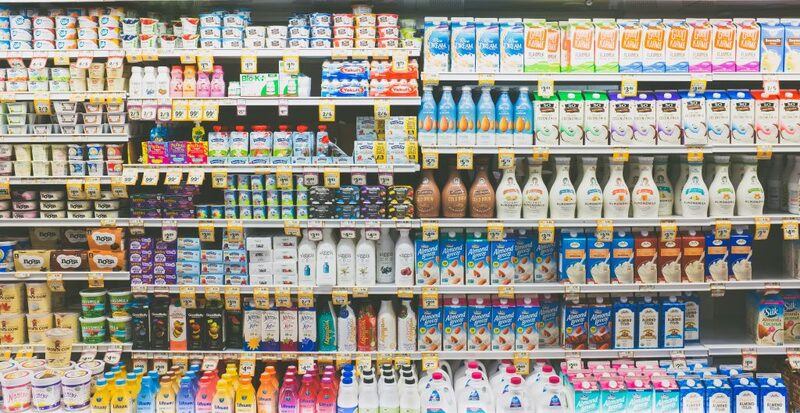 The luxury side of access – I’m not talking about not having access to variety, we definitely have that, but some products we like better at certain stores like Trader Joe’s or Wegman’s or Market 32. So, aside from jumping on different sales at different stores, there are some products I know I can find at some locations over others. I’m pretty organized at our grocery hauls at this point, but it took a while to get there. When I was focusing on weight loss and competing, I was a little more specific about my food choices and since we weren’t living together for the first two years of our relationship, I could do whatever I needed to do. Since living together and better understanding each other’s habits – like snacking, it’s been easier to get organized for the two of us. Is there anything that I’ve been itching to make or try? break out your recipes and check off what you need! I would encourage you to ask yourself a series of questions like do the kids have [insert sport] practice this week and will it impact meal time? Am I keeping it simple or am I going to be a chef this week? Do you need to have snacks or mini-meals for work or in the car? In no particular order, here are my staples and this list has changed a little bit in the past year and a half. My staples typically fall under most and some days, thing like bacon, is an every now and then and isn’t on my staples list. From here, when you’re thinking of meals to make from this list, I would consider what combinations you enjoy that help you stay full. A standard I follow is having a complex carbohydrate (either grain or vegetable) with protein and some fat for meals in the beginning of the day with more protein and fat later in the day and slightly less carbohydrates. Remember, everyone is different so if you notice that you like to be more balanced with every meal with every nutrient, then do that. If you feel better with a different nutritional breakdown that leans towards one nutrient over others, follow that, but consider what combinations are best at different times of the day when your activity may be higher than other times. Are you getting enough fiber in your diet overall and do these foods help you with digestion regularity? Are you getting enough nutritional diversity that you don’t feel you need a multi-vitamin to fill in gaps? What is your budget and what is financially reasonable? The last one is tough. While I do and have utilized protein bars and protein powder and some other fun ‘health’ foods, you don’t need these to be a healthy person and I think many people think they need to invest their retirement in creating a healthy diet for them. Don’t go hungry: This can make it easy for items to end up in your cart that you wouldn’t have purchased otherwise. Bring a snack bar: It’s rare that I run to the store and then go straight home. Keeping a protein bar or snack bar in my purse helps me manage my cravings especially if it’s an awkward time and I haven’t eaten a meal yet. Make a list and stick to it: This is common sense and I get it, you didn’t realize the PopTarts were going to be BOGO or that there was a new chip flavor, but you can always make a note of that and plan for it at a later date. Communicate with whoever is shopping with you: There have been times I’ve gotten to check out and finally noticed a box of cereal or chips that were added to the cart when I wasn’t paying attention. There’s nothing wrong with having those every now and then, but it’s also frustrating when they’re added without knowledge of it. Being on the same page of the goals of the shopping trip are important. I know this isn’t ground breaking, but I have found that talking myself through some of these aspects of grocery shopping and meal planning, allows me to be more engaged and on top of meal prepping and cooking in general. For many, cooking isn’t fun, and neither is grocery shopping, but it doesn’t have to be unbearable.